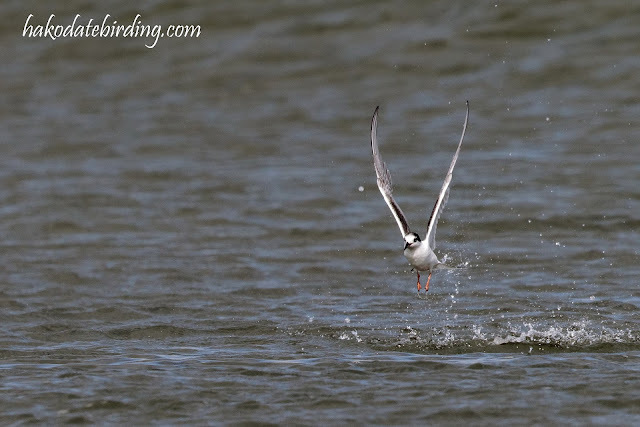 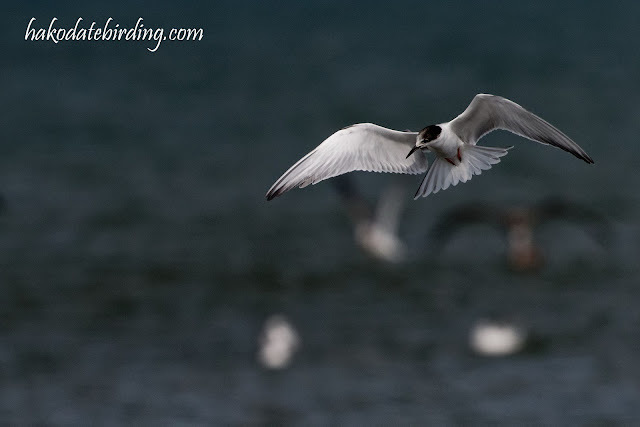 And at one of the river mouths there were a couple of Common Terns passing by. 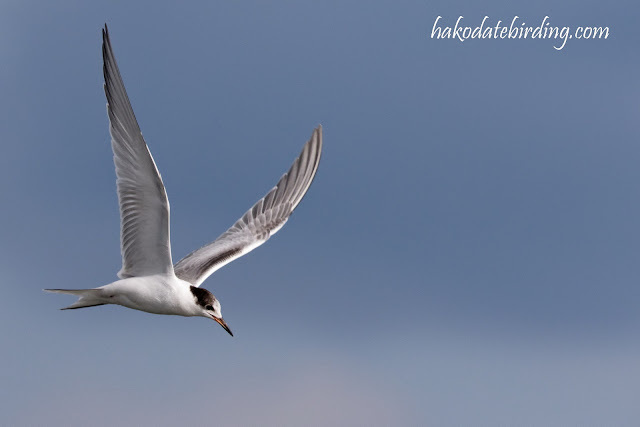 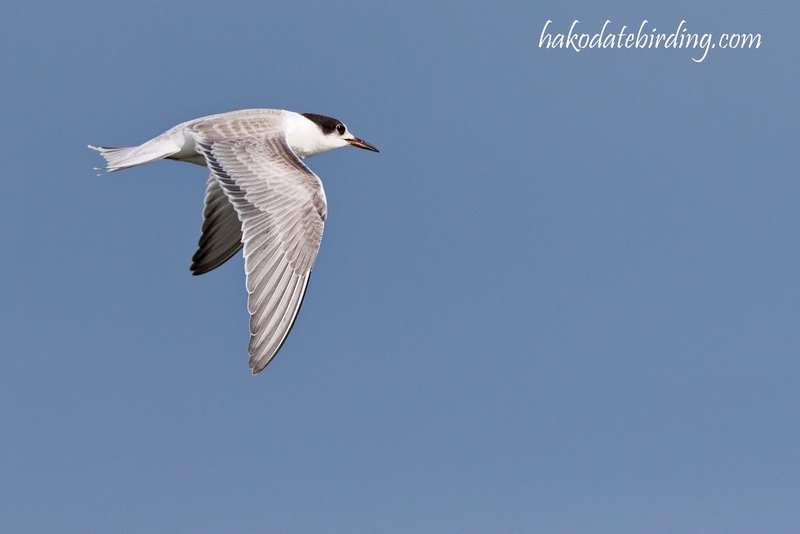 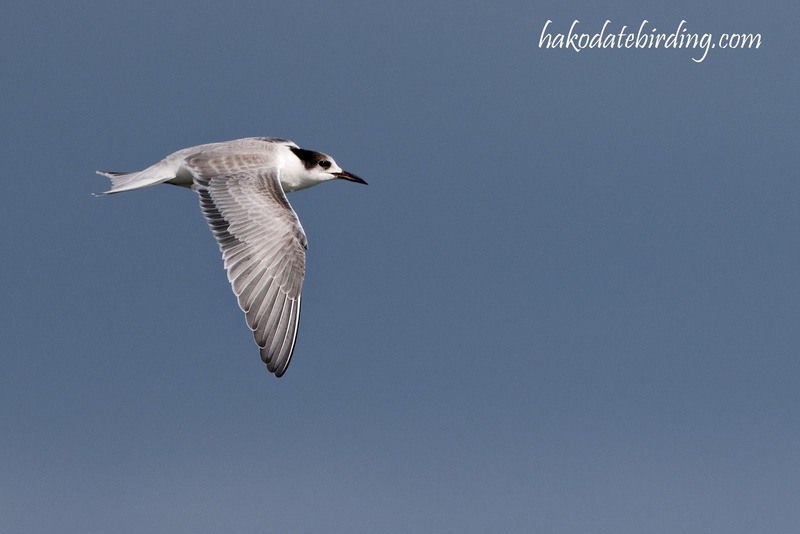 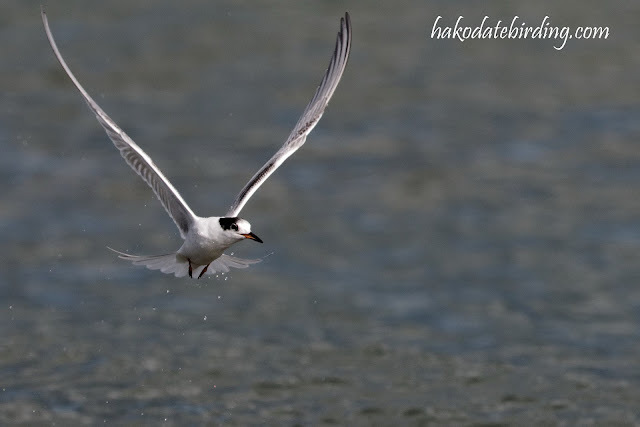 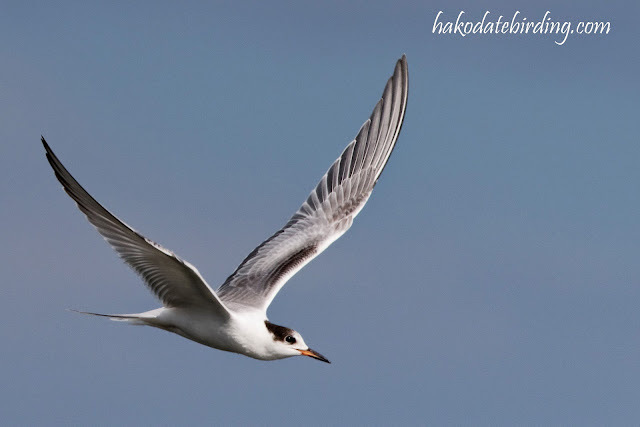 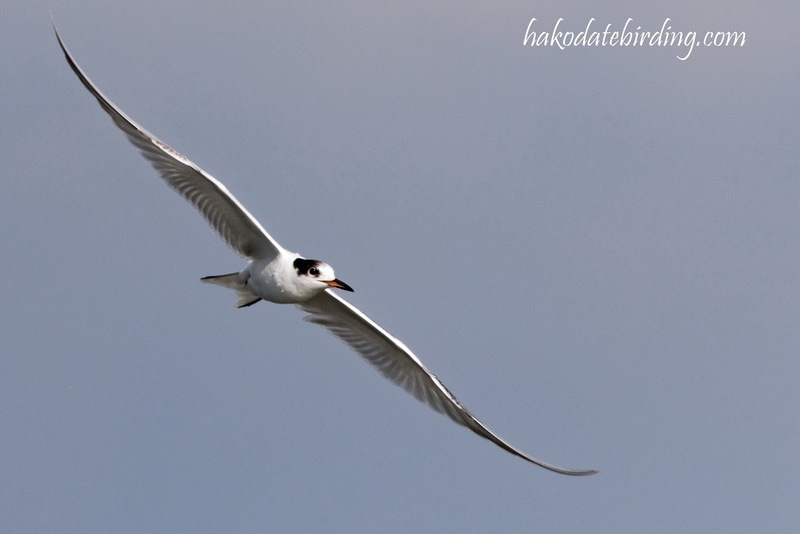 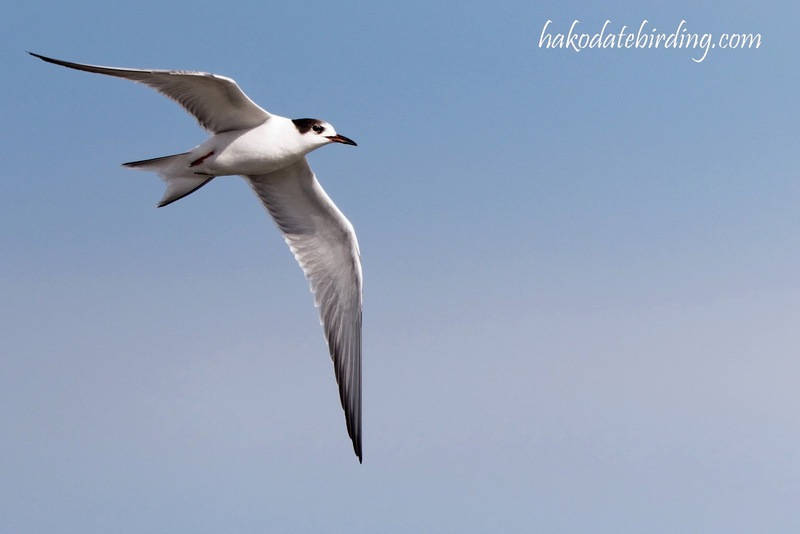 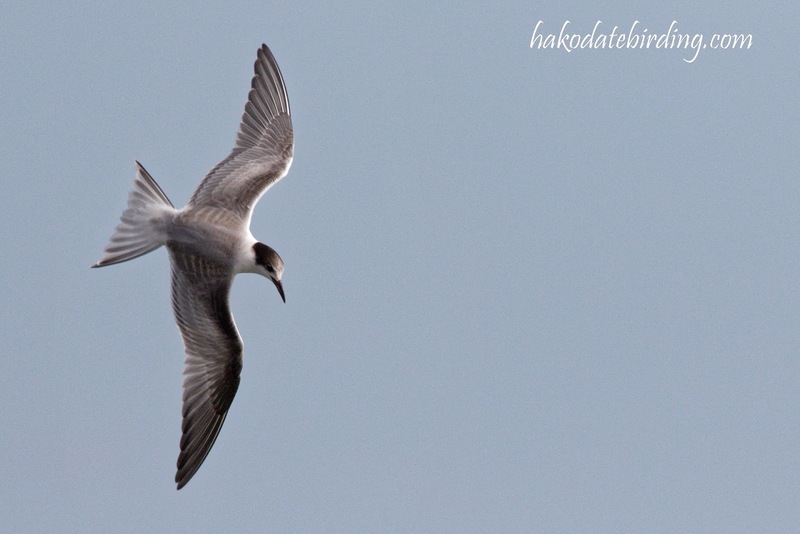 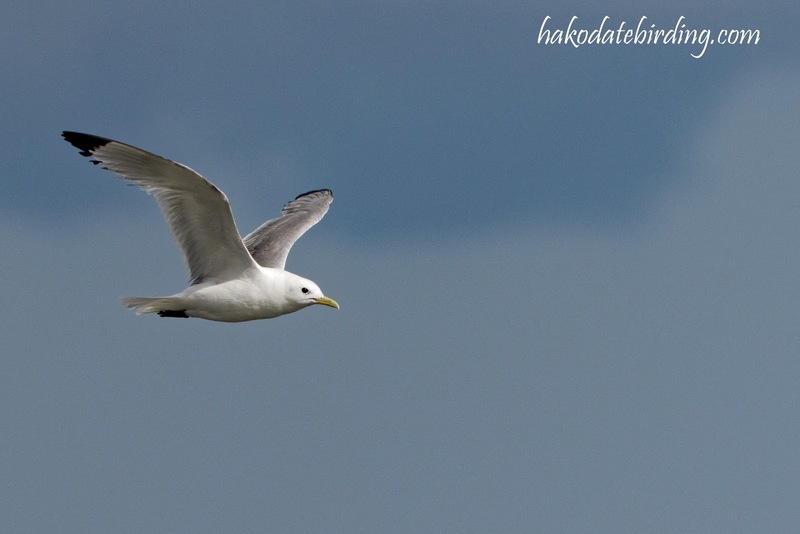 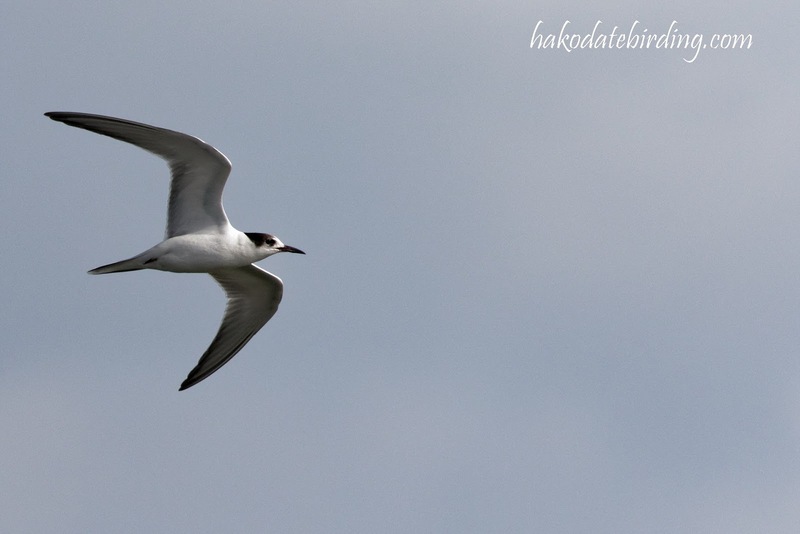 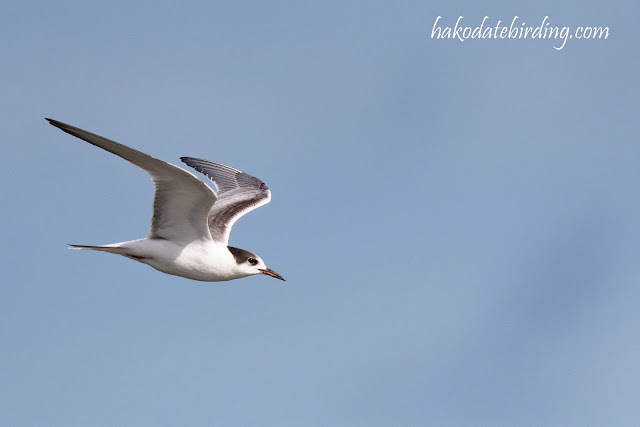 Terns are always a bit scarce in Hokkaido but this species is usually around in small numbers most autumns. 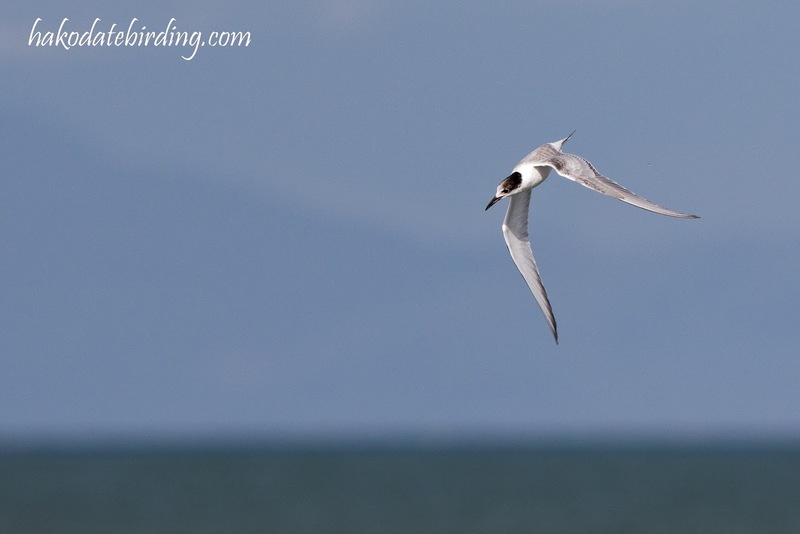 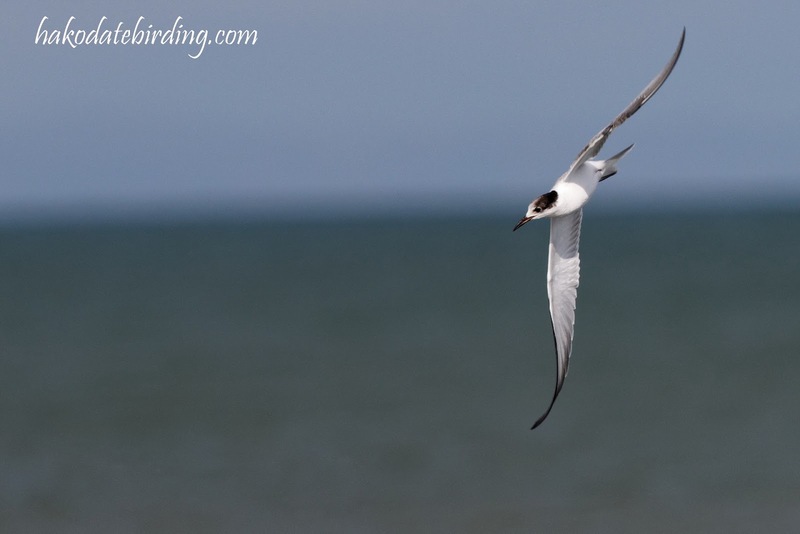 The race here is pretty dark, I almost thought it was a Bridled Tern at first. 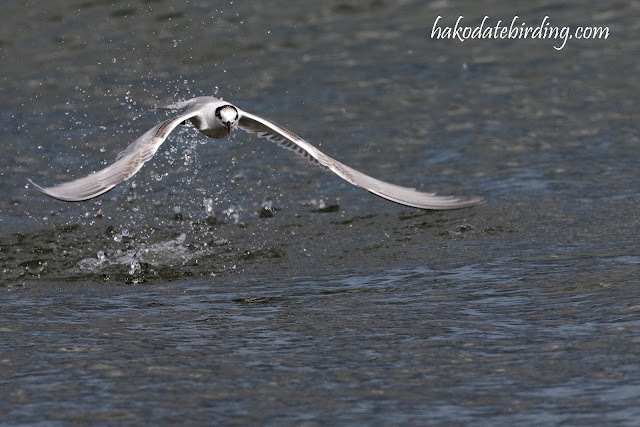 Other stuff around included Great Egret, Black-necked Grebe and various species of common duck. 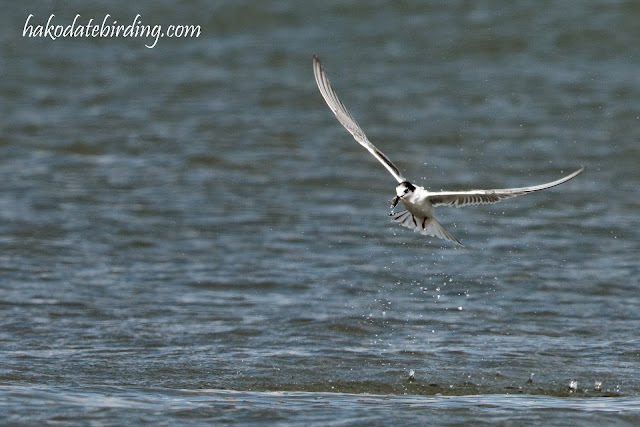 Nice work Stu. 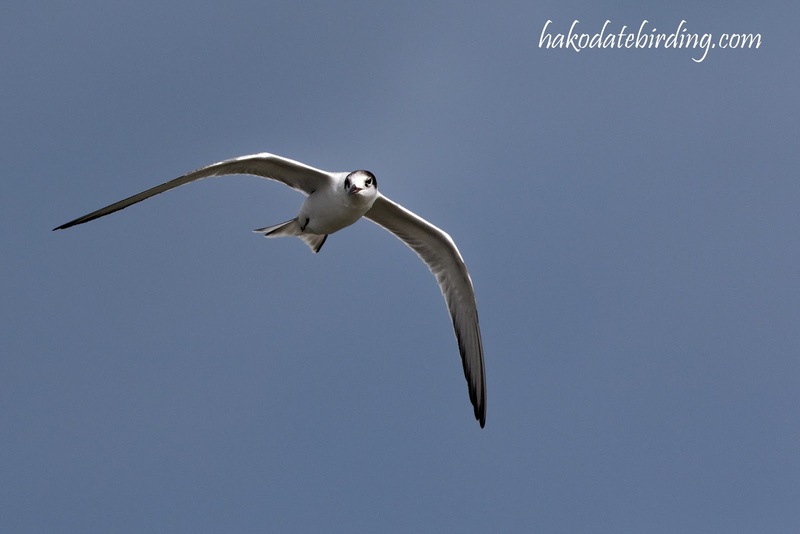 I can see what you mean by their darkness. It's very distinctive. 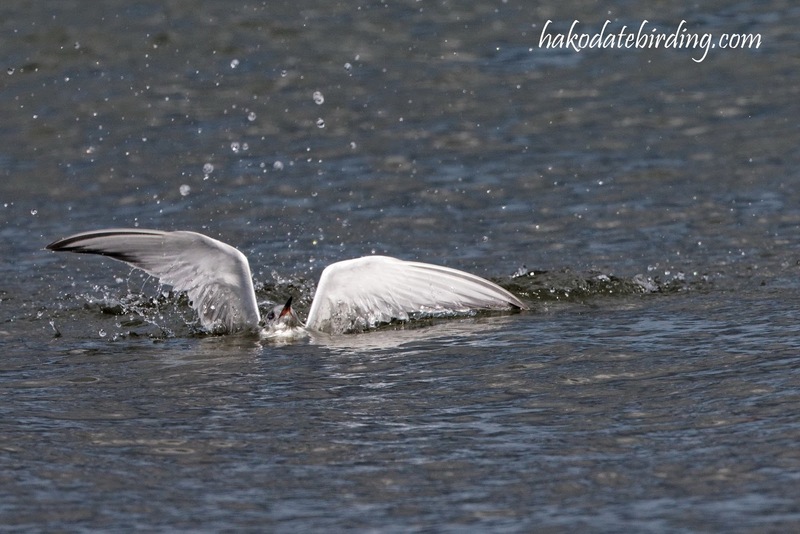 God given wings, amazing grace in every shot! 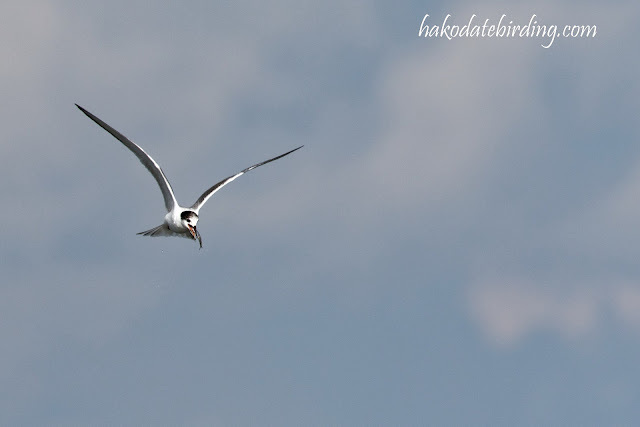 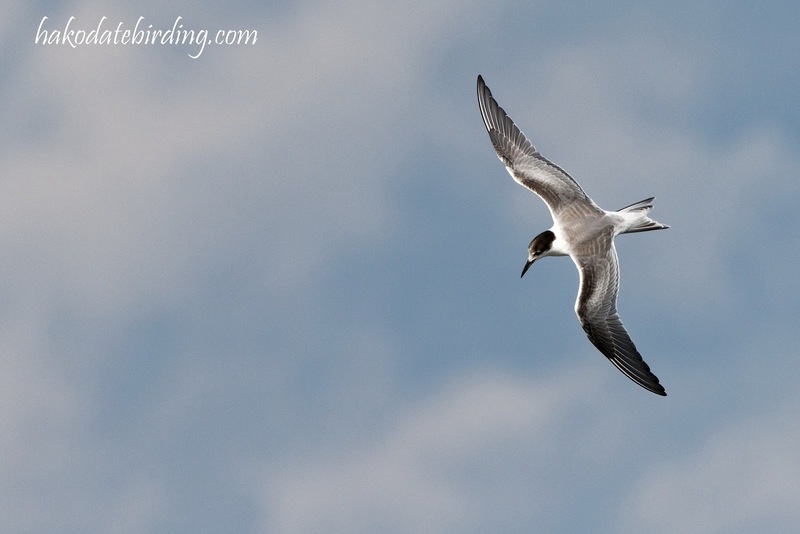 Glad to see you've got some terns up there....nice photos.